There is warmth in the air today. Yesterday I was very excited to see the first buds on one of our trees. Mother Earth is starting to awaken from her winter slumber. In the last few days I have started thinking about cleansing. Cleaning up the ‘diet’ and also cleansing the house. With the lengthening of the days, warmth returning to the air and Spring just round the corner this is the perfect time to embrace this energy. Winter Solstice, 20 – 23rd June (Southern Hemisphere) and 20 – 23rd Dec (Northern Hemisphere) marks the beginning of Winter with the longest night and the shortest day. A time of reflection, gathering in and stillness. Spring Equinox, 20 – 23rd Sept (Southern Hemisphere) and 23 – 23rd Mar (Northern Hemisphere) marks the beginning of Spring, where the day and night are of equal length. New beginnings, gestation and possibilities. Summer Solstice 20 – 23rd Dec (Southern Hemisphere) and 20 – 23rd June (Northern Hemisphere) marks the beginning of Summer with the longest day and the shortest night. A time of great activity, movement and being outside. Autumn Equinox, 20 – 23rd Mar (Southern Hemisphere) and 23 – 23rd Sept (Northern Hemisphere) marks the beginning of Autumn, where once again the day and night are of equal length. Gratitude for all that we have, bringing the family together and acknowledging the seasons that has been are all part of this time of year. There are also four cross quarter days which are celebrated as part of the agricultural calendar. Imbolc, end of July/beginning of Aug (Southern Hemisphere) and end of Jan/beginning of Feb (Northern Hemisphere), half way point between Winter Solstice and Spring Equinox and marks the first signs of Spring. The long Winter is finally coming to an end, hope is in the air. Beltane, end of Oct/beginning of Nov (Southern Hemisphere) and end of April/beginning of May (Northern Hemisphere), half way between Spring Equinox and Summer Solstice and is a festival celebrating fertility of the land, nature and animals, including humans……. Lamas, end of Jan/beginning of Feb (Southern Hemisphere) and end of July/beginning of Aug (Northern Hemisphere), half way point between Summer Solstice and Autumn Equinox and celebrates the first fruits of the harvest. What we have sewn/planted we now start to reap. Samhain, end of April/beginning of May (Southern Hemisphere) and end of Oct/beginning of Nov (Northern Hemisphere), half way point between Autumn Equinox and Winter Solstice and is the final harvest festival. It is also the end of the harvest year and the beginning of the new year. Once again the cycle of life continues. Together there 8 celebrations mark the Wheel of Life. 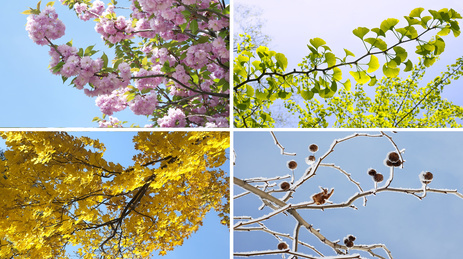 I share this with you as a way of starting to connect more deeply with the cyclic nature of our seasons, Mother Earth and the cyclic nature of our own bodies. If we are able to see the cycles in our own life and realise that with every ending there is a new beginning, and from the beginning there are points along the way that can be celebrated, I think we will find more meaning in our life and find meaning in the challenging times. There is a wonderful quote from Joseph Campbell “The function of ritual….is to give form to the human life, not in the way of mere surface arrangement, but in depth.” I believe that by recognising the changing of the seasons and celebrating this change, in what ever way feels right for you, we start to bring ritual into our lives. So for us in the Southern Hemisphere, we are heading towards Imbolc, the first signs of Spring. Which I have seen on the trees. So with this energy of emergence and new beginnings, I am going to be starting an internal cleanse – more green smoothies, cleaner eating and more water. I am also going to start detoxing the house, looking at each room, how do I want that room to feel, to represent and then clearing out anything that does not fit in with this new feel. I’ll be starting with the kitchen as this is the heart of our heart, literally and figuratively. Time to shake of the winter robes and embrace a lightness in Spirit. Can you feel the stirrings of new beginnings? Are you feeling drawn to cleanse either the house, a room or your body? How will you mark the changing of energies?